Perfect for a fall party! Beat the cream cheese and powdered sugar with a mixer until smooth. Add pumpkin, pumpkin pie spice, cinnamon, and vanilla. Mix well. 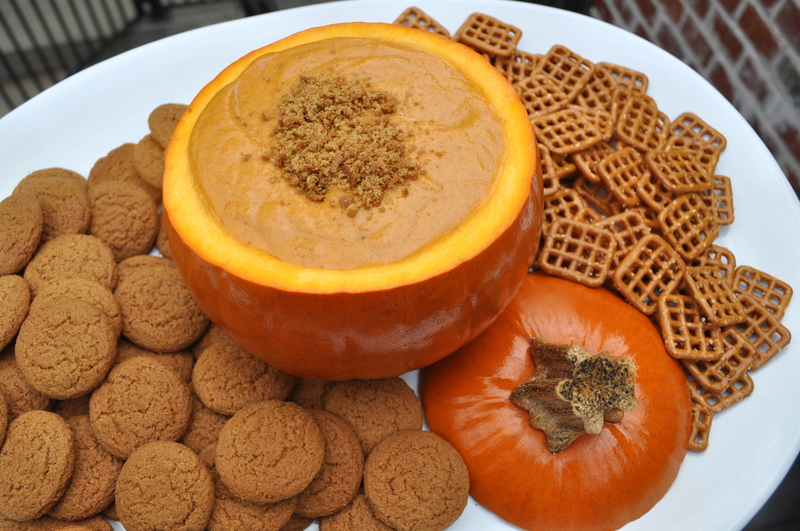 Spoon into a small hollowed pumpkin (or bowl) and serve with gingersnaps and pretzels. 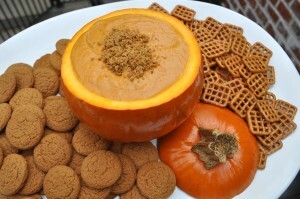 Hint: rub vegetable oil on the outside of the pumpkin to make it shiny and pretty for serving the Pumpkin Pie Dip. Copyright © 2018 Our Everyday Dinners - This is an easy recipe for how to make Pumpkin Pie Dip.